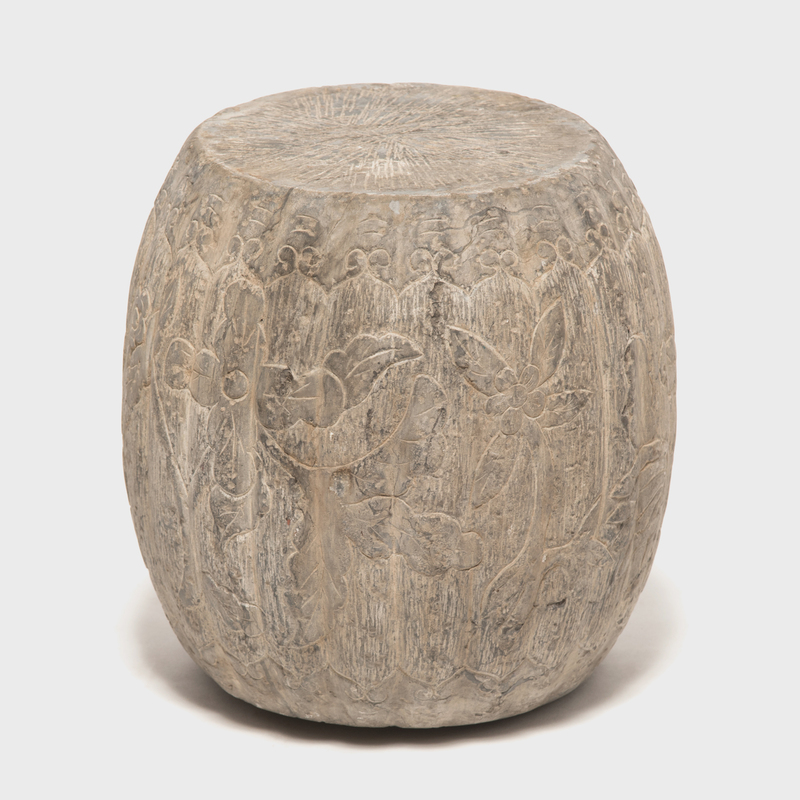 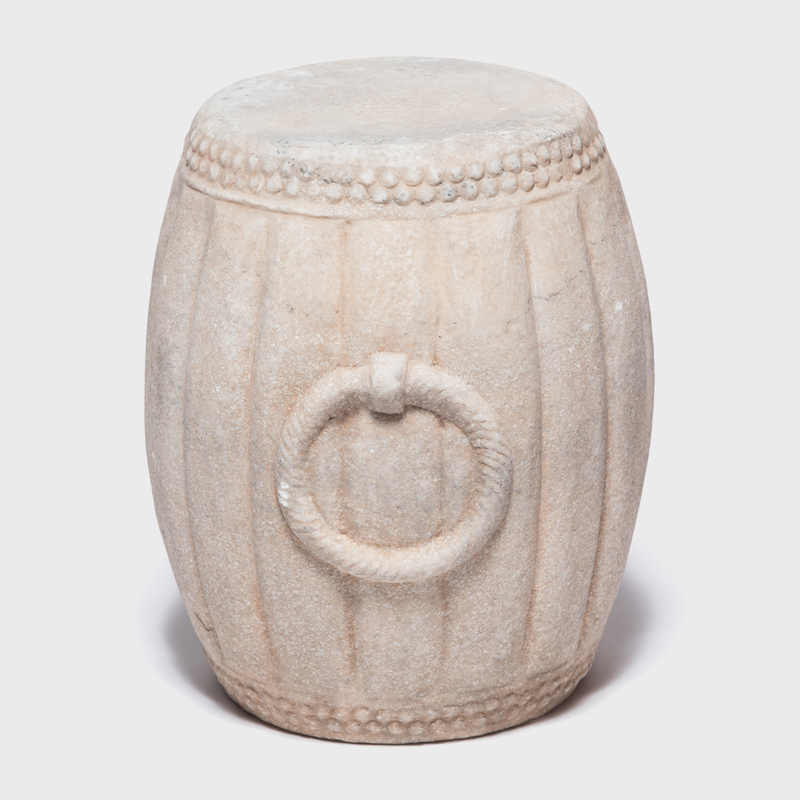 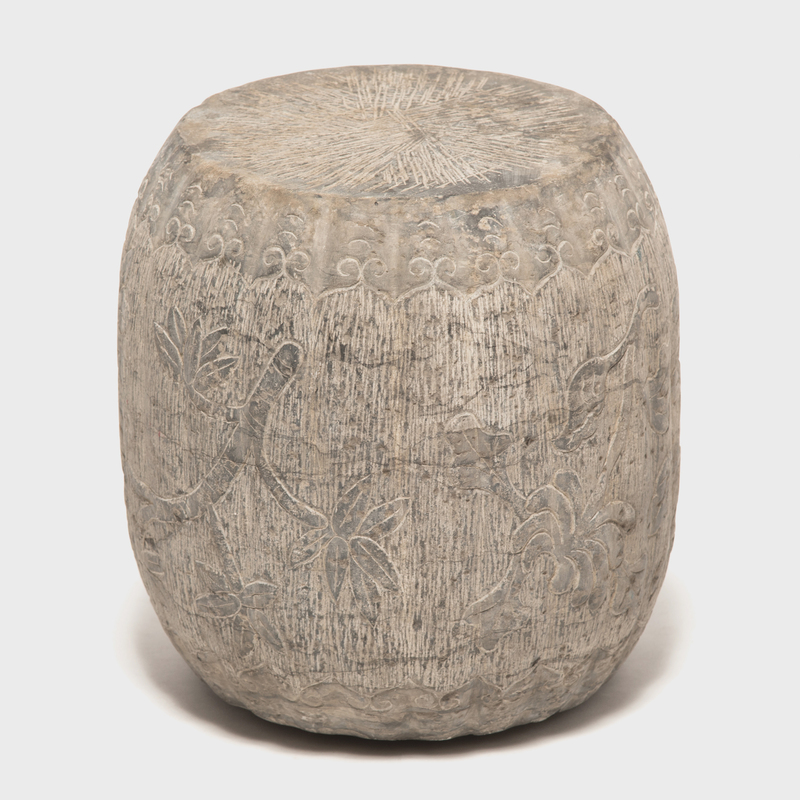 Hand-carved from limestone, these drum-shaped pedestals swell to a ribbed squash shape, an ancient symbol of fertility. 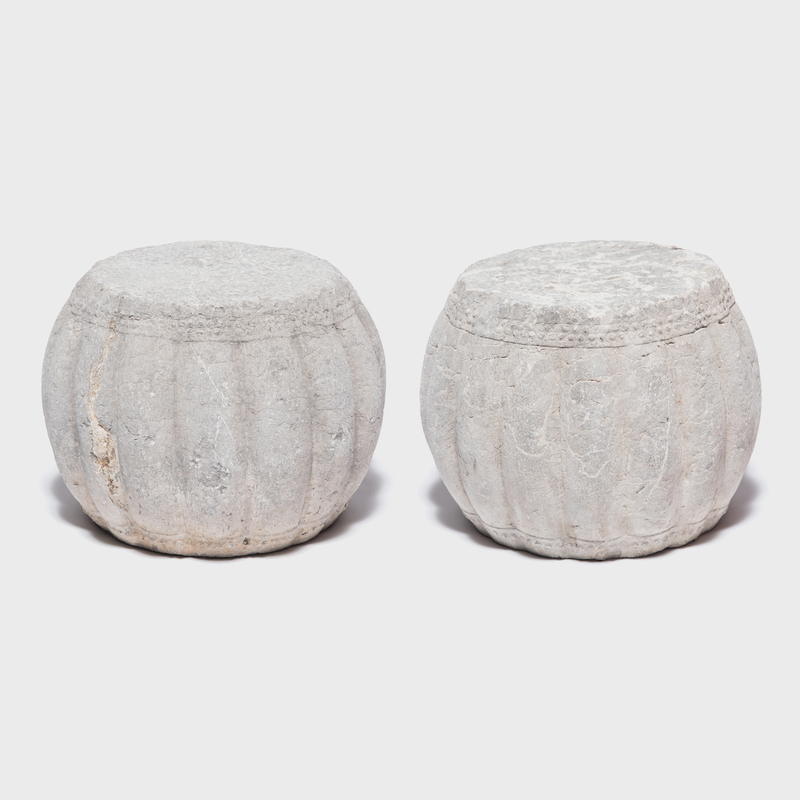 The artist used a hobnail-like texture on either end of each pedestal to suggest the rivets that fasten skin stretched over a drum head. 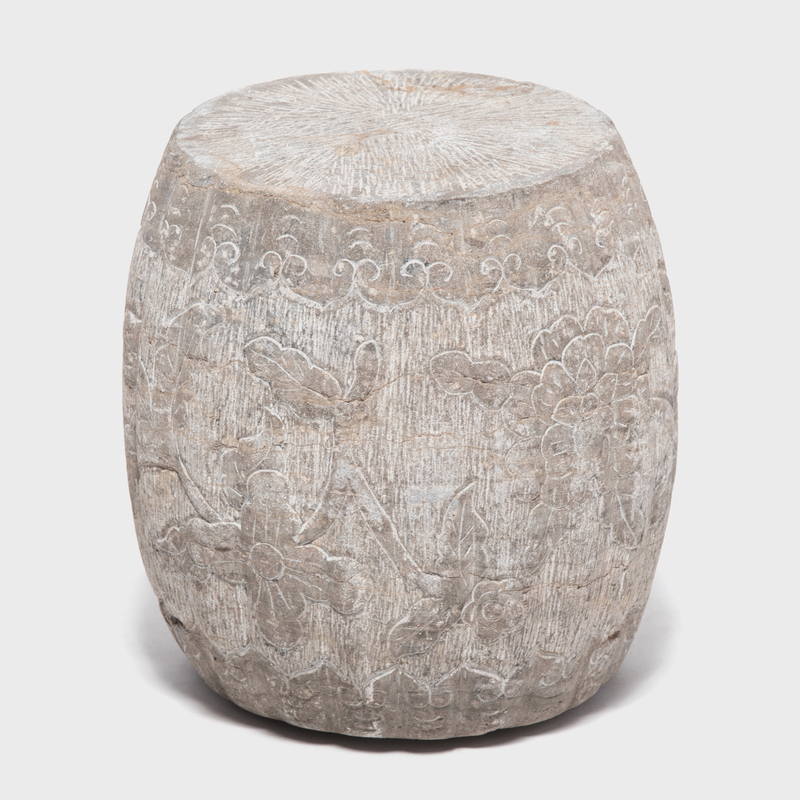 We love them as garden stools or as displays for potted plants.